Yes, I've featured this as a WoW before, but it warrants showing again! As I am DYING, absolutely DYING to read this one! And we have just 1 month and 12 days to go! Come on time, move along! I have loved this series since I first started reading adult books! Which was when the series was still releasing in paperback and the second book came out...I think...might have been just after it released because I ended up reading the second for a few chapters first, before I realized I was missing a whole other book! I thought things were a tad confusing, but eep! We're up to 12 now!! Cannot wait! Dying for White Hot Kiss. I've enjoyed everything by Jennifer L. Armentrout so far. I have always wanted to start The Hollows series. I've heard amazing things about it. I have a few of the books but lack the time like always. Great picks! I can't wait to read White Hot Kiss, it sounds amazing. White Hot Kiss sounds so good! I will have to give it a shot when it comes out. I hope the love triangle isn't to crazy and dramatic. I hate love triangles. Okay, I'm adding White Hot Kiss to my TBR list, it sounds really great. Thanks for stopping by my blog earlier. White Hot Kiss really has a gorgeous premise, Jessica. I am still contemplating whether to pick it up or not. I still have to read Jenn's Lux series and if it works for me then that's the time to get White Hot Kiss. Hahahaha. I am keeping my fingers crossed. And is Undead Pool part of The Hallows series? If it is, then heavens, what a big series it would be. It's the twelfth book, right? I hope you'll be able to read all of these. White Hot Kiss is definitely on my waiting list! My post is here, if you're interested! I need White Hot Kiss so badly! I cannot wait to meet Roth! Awesome picks! The Undead pool sounds interesting. I always love Kim Harrison's covers. Even though White Hot Kiss sounds interesting and is by an Author I like, I just can't get excited about it. We'll see I guess on that one. Ah, JLA is all over the blogosphere, but honestly, I'm not a fan. Nonetheless, I hope you enjoy both your great picks once you get to read them. Thanks for sharing! Here's what I'm waiting on this Wednesday! Happy reading! I'm reading Jennifer's Lux series. I'll have to check out White Hot Kiss too. Thanks for sharing. Can't wait for White Hot Kiss - anything JLA is amazing :) I think that I read the first book in Kim Harrison's series but I never got into them. Nice picks though! So far I have enjoyed everything I have read of Jennifer L Armentrout! I just started in JLA's books, I'm going to wait for the consensus before I decided whether or not I want to read it. I hope you enjoy it though. I really need to catch up on The Hollows, it's not even funny, how far behind I am. I'll get the audios, though, the narrator is pretty good. Both of those look good! Especially white hot kiss. yumm! I'm really curious about this book by JLA. I'v not read any of her romances/contemporaries. Great picks and thanks for stopping by My WoW! Both books look amazing! I'm more excited to read the first one because its by Jennifer :) love her! I want white hot as well, hope you get to read it soon. I'm SO ready for WHK! Always in need of more JLA! I have white hot kiss on my shelf! I was so excited when I won an ARC of it on a giveaway! I'm waiting till closer till it is released before I devour it!! 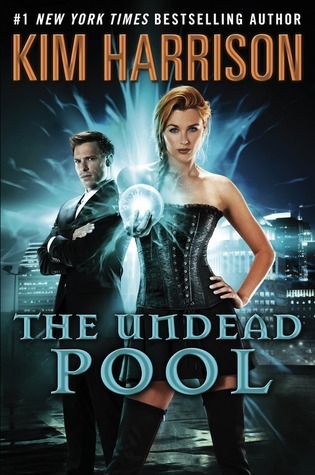 I am dying to read The Undead Pool! It's one of my favorite series. Good picks! Yes and Yes!! 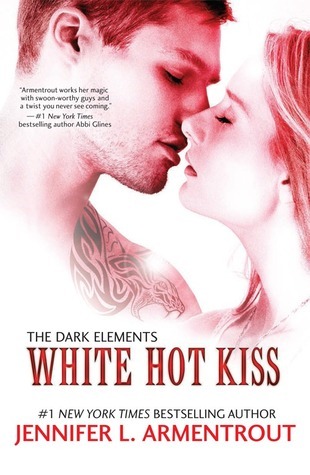 I cannot wait for White Hot Kiss and I must start Kim Harrison's books! White Hot Kiss is on my TBR Pile. Great Pick! Thanks for stopping by. I still haven't read anything from these authors, although I've heard amazing things about them, so great picks!